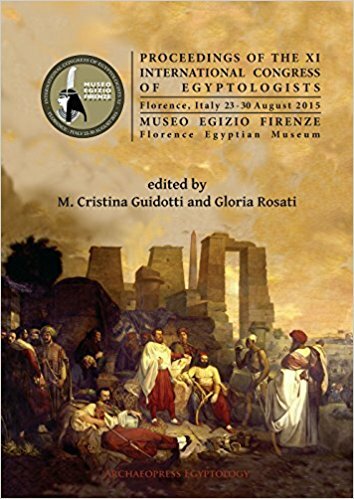 edited by Gloria Rosati and M. Christina Guidotti. In common with many such conference volumes, this book contains a huge amount of information. You might feel – due perhaps to the rather small type-face – that if you dropped this (quite sizeable) volume into a bucket of water that it would expand to the size of a house. The editors should be commended for such rapid publication, only two years after the Florence conference took place in August 2015 (the previous volume took some 8 years! ), so results presented here – particularly of archaeological missions – are fairly fresh. And this is the volume’s main strength: there are several very important preliminary publications of significant data. Some deserving of particular mention: the work of the Spanish- Egyptian mission at the relatively little- known mortuary temple of Thutmose III; the discovery of a jointly- dated inscription of Amenhotep III and Amenhotep IV (by another Spanish-Egyptian team); finds in private tombs at Dra Abu el-Naga (also Spanish colleagues); and Thirteenth Dynasty royal funerary material found at Abydos. This series of articles expands significantly on any initial press coverage that may have appeared at the time of the announcement of these discoveries. Other subjects range extremely widely, from grammatical constructions to pyramid building, wine-making to animal mummies. Coffins and papyri receive particular attention, in keeping with recent research trends in Egyptology, but the volume includes more unusual contributions – such as that on the use of augmented reality in heritage sites. There is a notable concentration on European contributions, illustrating the wide diversity of research that takes place across the continent. Minor irregularities in the English of some papers do not detract from what is a monumental achievement. There is a range of fine black-andwhite, greyscale and colour illustrations. In keeping with this type of volume, an index would have been challenging to produce for such a varied collection of papers but would nonetheless have been useful for navigating the dense amount of information. 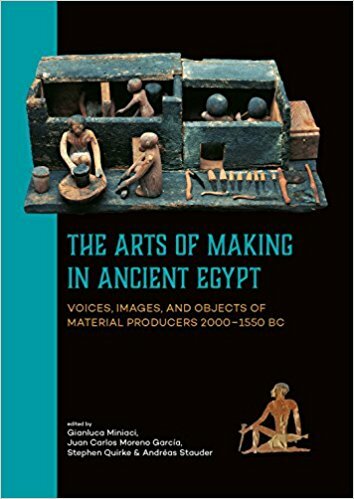 The huge volume and range of articles make it unlikely that this book will be owned much beyond Egyptological libraries – or the most committed completists. Yet, it does provide – for a rather princely sum – a fair snapshot of what is going on in Egyptological research across the board, and what – in 2017 – Egyptologists seem most keen to talk about. This is a collection of 14 papers exploring the maritime supremacy of the Ptolemaic dynasty and the extent to which Ptolemaic Egypt depended for its security, development and success on its control of river and sea routes around the Mediterranean. At the height of its power (during the reigns of the first three Ptolemies, c. 305-221 BC) the Ptolemaic Dynasty controlled a large empire including Cyprus, Cyrene, Levantine ports and strategically important parts of Syria; with such far-flung possessions, a powerful navy was essential to maintain garrisons, secure trading routes and deter piracy (although as discussed in one chapter, the Ptolemies were known to collaborate with “somewhat shady individuals” in order to protect their own interests). 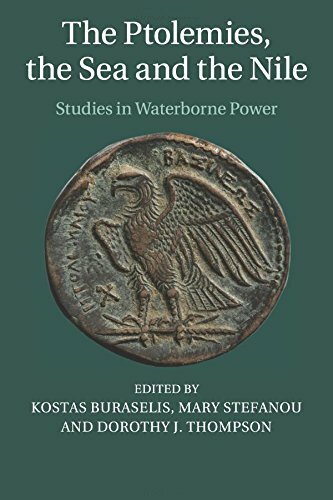 However, equally important to the Ptolemies was the display of ‘soft power’: enhancing their political influence through the spread of their culture and royal cults around the Mediterranean. This policy included establishing festivals to celebrate the dynasty in Alexandria and on Delos (part of the short-lived League of Islanders set up by Ptolemy II), and shipping royal statues from Alexandria to be displayed in sanctuaries across the Ptolemaic empire and in allied city states such as Athens and Rhodes (a policy later adopted by Roman Emperors). Rhodes and Egypt enjoyed a special relationship, with the relatively short distance between the two states (325 miles taking just over three days to sail) becoming one of the ‘golden searoutes’ of the Mediterranean. This was in spite of the huge taxes levied at each port (keeping the Rhodian and Ptolemaic royal treasuries well topped up). Alexandria during this period became the unrivalled centre of world trade, with a huge variety of products passing through the city from Africa, the Red Sea, Mediterranean countries and from across the Indian Ocean. Elephants, ivory, frankincense, cotton, spices, gold and imported foods arrived into Egypt, while Egyptian grain – the foundation of the dynasty’s power – was exported to alleviate famine and food shortages abroad. Other topics covered include: the immigration of a variety of peoples from the ancient Greek world, seeking a better life in the new ‘land of promise’; trade and exploration under the Ptolemies and the discovery of the monsoon-aided route to India; the development and central importance of the Hellenistic royal barge (as used by Cleopatra VII on her journey to meet Mark Antony) in projecting the image of the Ptolemaic ruler through conspicuous display of wealth and power; and the decline of the dynasty from the reign of Ptolemy IV as seen through the eyes of the historian Polybius. An absorbing and highly readable work suitable for anyone wanting to learn more about this fascinating dynasty and the significant role played by Hellenistic Egypt in the wider Mediterranean world. 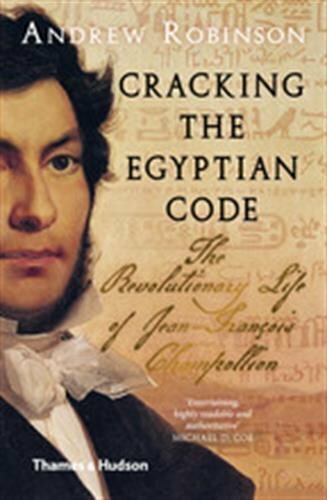 The title ‘Cracking the Egyptian Code’, suggests that this book is mainly about the well-known story of the famous struggle of Champollion with decipherment of hieroglyphs. The sub-title reveals that it is a great deal wider in its scope. The boy genius who was fluent in several ancient languages, including Coptic, and who was made a professor before leaving his teens, was eventually to wear out his fragile health by his obsessive study and die in his forties. His story is well-known. What is not so well understood is the historical and political context in which he lived his life. He was born in Figeac (within earshot of the local guillotine) in 1790, just after the outbreak of the Revolutionary Terror, so the backdrop to his early years was a period of huge upheaval and change; his own life was punctuated by political involvements and brushes with authority. The young genius’ relations with his contacts and correspondents were never simple. He was either an enthusiastic colleague or a sworn enemy, and was an inveterate critic of any others working in a similar field, including Thomas Young and of the Description de L’Égypte published at this time; instead, he stated that, though there were some very good drawings, the text was “only fit to be ditched”. As further volumes appeared, his comments became even more scathing. Champollion only visited Egypt once but typically he threw himself wholeheartedly into the experience. The paintings showing him in native dress typify his approach. He was keen to study as many sources of Egyptian writing as possible and to this end he paid a visit to Turin where he was quite overwhelmed by the amazing collection there. His major contribution was to find a neglected and much damaged collection of papyri in the museum which he recognised as highly important, in particular the Turin Royal Canon. His tour of Italy made a big impression and he met a number of important people. One of these was Henry Salt who was bringing his huge collection to Europe. Champollion determined to acquire this collection for France, and, on his return to Paris, persuaded the King, Charles X to take it on. As a result, Champollion was appointed the first curator of Egyptian antiquities at the Louvre. Characteristically he embarked on a huge reorganisation of the collection. With his growing European reputation, he inevitably collected enemies. Ancient Egyptian religion, not to mention the emerging chronology suggesting that Egypt’s history predated the Biblical flood, provided a direct challenge to the orthodox Catholic views held by the ruling classes under Charles X. The author attempts to summarise the importance of this turbulent but impressive career and to evaluate his subject’s importance in relation to others of his time. The role of Thomas Young has often been under-rated. The author believes that the breakthrough could not have happened without the work of both the polymath and the obsessive specialist. This book is a thoroughly researched work attempting a balanced conclusion. Its scope is particularly impressive given that almost all the sources used in its preparation were only available in French, apart from an early biography in German. This volume is targeted at a general audience and has the feel and format of a classroom textbook. Written chiefly for an American market, the author adopts an accessible style and presents a commendable amount of information. Forty-five artefacts are introduced, each acting as gateways into discussion of aspects of ancient Egyptian society, from the Predynastic Period until the Byzantine Period. There is a conscious attempt to reflect various aspects of daily life – that is, the Egyptians’ ‘home’ and ‘work’ life, methods of communication, as well as religion and (inevitably) the afterlife. 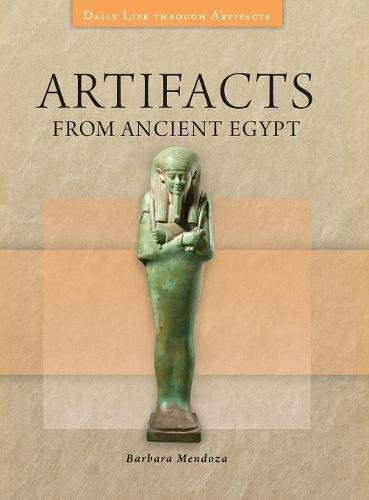 The book is based on broad thematic categories often used to interpret ancient Egyptian society, rather than employing a chronological structure, including: beauty, adornment, and clothing; death and funerary equipment; food and drink; household items, furniture, and games; literacy and writing; religion, ritual, and magic; and tools and weapons. Each object is illustrated by a single photograph, described in detail and its broader significance outlined. Given the relatively small number of objects, several images might have been expected; thus, for an entry on a “men’s kilt” only a wall scene is shown, illustrating the paucity of evidence of this object type. An ample bibliography is provided for each item for use by the interested student. Although doubtless the author was tightly constrained by the publisher’s parameters, there are several Egyptological points of contention. Most problematic is the use of largely out-of-date translations of key written sources, which have largely been superseded by a breadth of more recent and accessible textual translations. Nonetheless, the book is a straightforward introduction to a wide range of material. edited by Gianluca Miniaci, Juan Carlos Moreno Garcia, Stephen Quirke and Andreas Stauder. This collection of fifteen papers resulted from a conference based on the Seeing and Hearing the Ancient Producers of Egypt (SHAPE) project, funded by the European Research Council. The project’s aim is to evaluate the creativity and individuality of ancient Egyptian artists and craftsmen under their own terms rather than from the perspective of a Western, classically-based, ‘enlightened’ culture. New thinking on the complexity of craft activities, the social status of craftsmen, their relationships with employers or patrons, and the distinction between ‘artists’ and ‘producers’ challenges common and oft-repeated misconceptions about the role of skilled artisans. Traditional wisdom supposes that the artistic crafts, particularly stoneworking and sculpture, were controlled from royal ‘workshops’. Here papers provide evidence for the definition of ‘workshop’ as a group of artisans or craftsmen, sometimes itinerant, whose output displays recurring stylistic traits, some shared with, or perhaps dictated by the élite workshops of the Residence city. Comparison of composition, style and representation enables the identification of several local workshops producing, for example, ‘off-the-peg’ statues at Abydos and offering tables at Asyut. Evidence for the transmission or copying of layouts and designs, as suggested by the similarities in four tombs at el-Kab and Thebes, also supports the existence of ‘pattern books’. Resources discussed include the animal hides and castor oil used in leather-making and the trade routes from Nubia that brought both raw materials and skilled labour to the Nile Valley. Further articles discuss the practice of imitating fine or perishable materials in a cheaper or lasting medium – e.g. pottery decorated to represent stone, wood painted to resemble cow-hide, stone carved as basketwork – and modern scientific techniques used to identify materials and the order of manufacturing processes. The paradoxical role of faience as a substitute for semi-precious stones in cheap mass-produced beads and amulets and as a material of choice in élite and royal jewellery illustrates the irrelevance of the intrinsic value of certain products. Scenes and models of craftsmen at work are assessed in terms of the production methods and materials represented, the socio-economic position of the workers and the value accorded to such artisanship. A theme of several papers is the identification of artists as named individuals and the degree of practical and scientific knowledge required, or claimed, by senior craft officials. Some articles, mainly those based on linguistic and textual analysis, are highly specialised, but most provide useful, fascinating and occasionally surprising insights into the design and production of, and the information included in, Middle Bronze Age Egyptian funerary goods and tomb decoration. 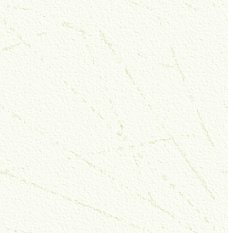 by Aviametrix, LLC, 2018 Download free. This is a ‘companion app’ to Pharaohs of Egypt which we reviewed in AE103, this time focussing on 216 attested Egyptian queens. The app allows you to search for a queen or her consort by name or by timeline, linking through to a Wikipedia entry for biographical details. Unfortunately as my ipad is (apparently) too old to run version 10 of IOS, I cannot run the app and so provide a full review. For those of you with a more up-to-date device, you can download it for free from the Apple Store. Download free, £2.99 per issue. For those of you who like things on the move, this app allows you to subscribe to AE Magazine and read it on your Apple devices. You can zoom in and out of each page, search the issue or the archive, tap the contents page links to jump straight to your chosen article and more! It’s all the goodness of your favourite magazine with added digital accessibility! You can download the app for free from the Apple Store and pay per issue or annually for access to each edition of the magazine.